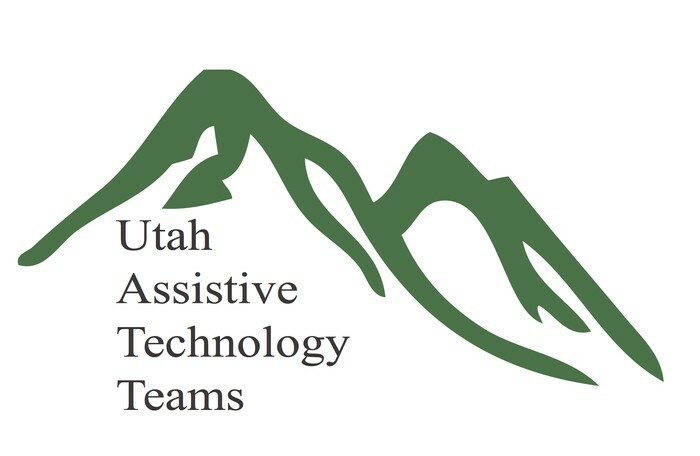 Utah Assistive Technology Teams support school LEAs and IEP teams to evaluate, acquire and manage assistive technology for students with disabilities. The State of Utah is divided into 28 regional areas with one UATT team serving each region. In some cases the team will serve multiple school districts, and in other cases the school district may be large enough to have more then one team. Teams consist of, but are not limited to, speech pathologists, teachers, psychologists, occupational therapists, physical therapists, administrators, computer specialists, audiologists, and vision specialists. Video of the month! The Process of Considering Assistive Technology. 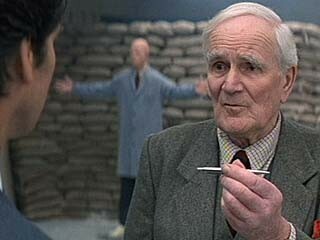 Growing up, I loved James Bond movies. My favorite scene from each movie was when he would visit “Q” in the lab to see the latest gadget that had been created for James to use. When I first saw the Livescribe SmartPen, I was placed in the moment feeling like I was visiting “Q”. This pen has become one of the most demonstrated and recommended pieces of assistive technology for students across the range of learning disabilities. What makes this pen so great? While the Smart pen allows you to take traditional ink notes, it also has the ability to capture audio simultaneously while taking notes. Here’s where the real magic happens; the pen is combining written notes and anchoring them with the audio happening at that exact moment, bookmarking it for later. What does this mean? 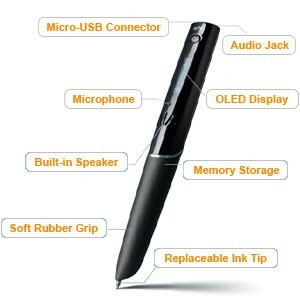 This allows you to go back in your written notes and tap on something written, and the pen will play back the audio from that exact recording through the pen. No need to search through hours of a recording. The pen requires special paper that has thousands of dots that the pen uses to track writing and anchor it to the audio that it records. How is this such a powerful tool for people with learning disabilities? For many, it is completely transforming the way they pay attention in class, retain information, process information and study using the audio from notes they have taken. We teach the individual to keep short, key notes, during a lecture keeping attention on the discussion rather than worrying about keeping overly detailed notes. For most students with learning disabilities, auditory learning is their biggest strength and most struggle with the stress of keeping accurate written notes. This pen allows a student to go home and play back audio from a specific point from the discussion to help retain the information that we being presented. 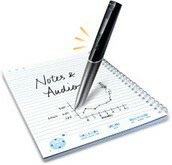 The livescribe pen can be purchased at many major retailers such as Office Depot, Staples, Office Max and online from Amazon.com. A 2gb pen can store up to 200 hours of audio and is reasonably priced at approximately $120.00. The paper that is required for the pen costs $20.00 for 4 books. The pen does so much more and must be seen to believe. See how students with dyslexia are using the pen to be successful. J.L is a 3 year old that is non verbal. He is working with the Granite Utah Assistive Technology Team to communicate preferences. 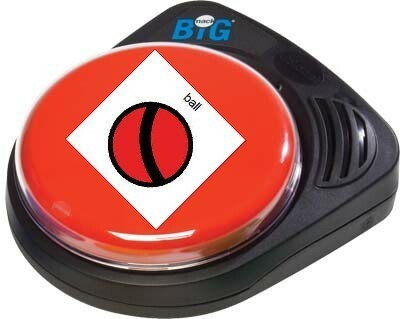 He was presented with a Big Mack button programmed with the word “ball.” The button was modeled two times for this specific ball rolling activity—he has been exposed to these types of buttons for greetings for the past year. After two models, a pause was inserted in the game, at which time he looked for and located the button, reached out and pushed it, then turned his attention back to the partner who had the ball. 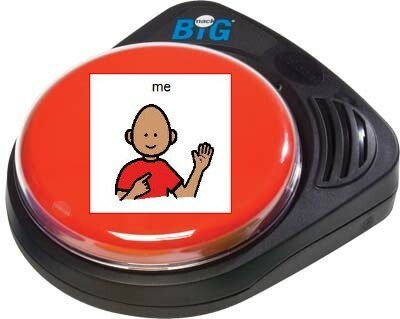 Following several successful turns, the activity was changed to personal picture identification, with the accompanying button word “me.” A few models were provided, and our little guy activated the button independently. What happened next was a huge surprise to everyone in the room when he paused and used his voice to say “me.” First word out of his mouth ever! Thankfully his mom was here to witness it. We're bringing key education leaders together near Salt Lake City to learn, share, and plan around literacy and Universal Design for Learning (UDL). We’d love to have you join us—it’s free to attend! You’ll discover ways to achieve reading and writing outcomes through UDL accessibility on Google Chrome, iPad, and desktop with Co:Writer and Snap&Read Universal. You’ll also experience how uPAR helps you make smart inclusion decisions. It will be an incredible experience as anyone who has attended our summits will tell you. You will connect with other local leaders and return with energy and know-how that will have a lasting impact. Did I mention that a complimentary lunch will be served? Please RSVP below (choose one of the locations/dates), and feel free to invite up to two more people from your district. Each one needs to RSVP to make sure we have lunch for everyone. Are you concerned about the viability of your school district’s AT Team? Are you looking for new ways to improve AT services in the coming years? If you are part of a team that provides AT services in public school settings, then this intensive one-day training is right for you. Working with your team or in small groups of similar teams, you will have the chance to envision AT services in the context of a Universal Design for Learning model for professionals and to modify your service model to meet the changing role of AT teams. Interactive activities will give you an opportunity to analyze your current service model, focus on improving service delivery, building agency-wide capacity, and planning effective outreach. You will identify areas of need, rethink the vision for your AT services, and begin work on a multi-faceted 3-year plan. AT specialists are encouraged to attend in teams, develop team objectives, and discover practical ways to ensure the viability of your team. Whether you are an individual AT practitioner or part of a local or regional school-based AT team, you will leave with a clear, detailed plan to move into the next decade of AT services. Gayl will present at a location to be determined for the Northern part of the state on April 12th and again at a location to be determined in the Southern part of the state on April 14th.